Alto-Shaam 1/2 Size Warming Cabinet, 115 Volts, excellent condition in and out, $600, call 770.925.4858 for shipping quote. Alto-Shaam Warmer, 120 Volts, model number 500 2D, two drawer, $1000, call 770.925.4858 for shipping quote. Cleveland Tabletop Steamer . Three phase power , 208 volts. Tested and ready to go. Call 770-925-4858 for shipping quote. Call 770-925-4858 for more information. $2000 Groen Double Jacketed Steam Kettle . 3 phase power 208 volts, with stand. Works great , Call 770-925-4858 for more information AND shipping quote. Hobart Counter Top Steam Cooker- Model ES5. 3 phase Power. 208 volts. cleaned , tested and ready to go. Great for seafood. 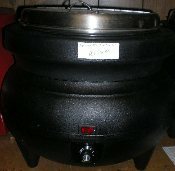 Market Forge Steam Cooker, 3 phase, 208 volts, ST-GB, $1500, call 770.925.4858 for shipping quote. 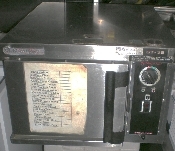 Nu-Vu Combination Proofer/ Convection Oven, Used by subway, model no. OP21-ST, 208 volts, single phase, $1800, call 770.925.4858 for shipping quote. Soup Warmer made by Eagle Works good 120 volt $50 call 770-925-4858 for shipping quote. 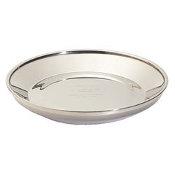 Great for steaming tortillas, sandwiches, et cetera.